Those are some pretty amazing stats, and ones as a business owner you can’t afford to ignore. With numbers like that, you can rest assured your target market is out there, and the powerful Facebook/Instagram advertising platform can help you reach them. Maybe you’ve had a go at boosting posts on Facebook & Instagram but you’ve not had the success you’d hoped for. You want to take advantage of the Facebook Advertising Platform, but Ads Manager leaves you in a cold sweat. What objective should you chose? What’s the difference between a lookalike audience and a custom audience? And what the heck is the Facebook Pixel and what does it do? Lorri Ritchie is a professionally trained social media manager and Facebook Ads Strategist who is passionate about working with businesses small and large to harness the power of Facebook advertising to get their voices heard. In this workshop, Lorri is going to introduce us to Facebook Ads Manager and help us understand the enormous power it has to help you reach your target customers. 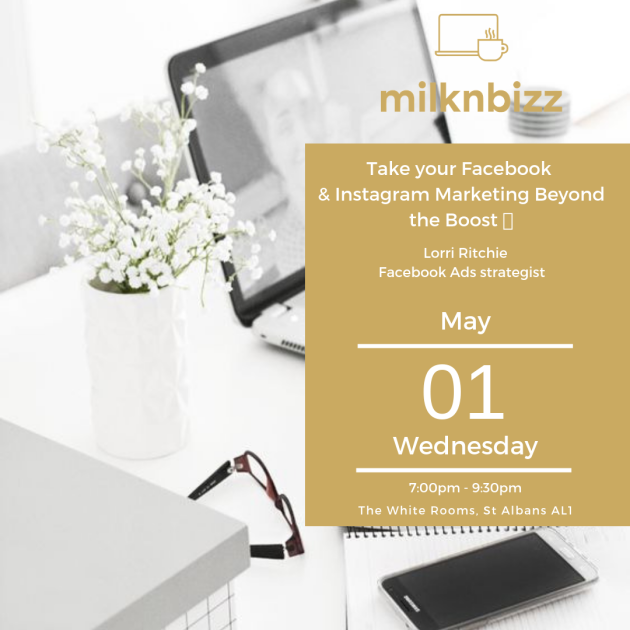 You will come away with the knowledge and skills you need to take your Facebook Advertising ‘Beyond the Boost’ 🚀.